Kuchera Masimba was born on June 20 1981 being the fourth in a family of seven. Masimba was born with a visual impairment and this mortified his parents, who had also had their first child born paralysed, unable to talk or use his limbs and was bed-ridden for life. It took his father at least six months to accept as he was continually worrying about how Masimba would be independent or get an education. Masimba eventually, through a relative, was admitted to a school which had special learning tools for people with different disabilities. During the consultations for the 2000 constitutional referendum, Masimba advocated for the Electoral Act to be amended so that visually impaired people could vote with a person of their choice as opposed to the system which saw them being assisted by four officials unknown to them. During the Harare Agricultural Show of 1999, Masimba was on TV expressing this view and the issue was topical for days. The defeat of the constitution in the referendum meant that his issue had died down but he refused to let it go. He teamed up with five of his colleagues and with the assistance of the Zimbabwe Lawyers for Human Rights ZLHR, filed an appeal with the High Court just before the March 2008 elections. Although there was no outcome until after the vote, a Statutory Instrument slightly amending the act took effect a day before the presidential runoff in June of the same year. Justice Antonia Guvava threw out the case before the runoff but after the March 29 Election. After the runoff, Masimba and his colleagues revived the appeal by challenging the constitutionality of the offending sections. The case was finally concluded on January 28 2010 when the Supreme Court sitting as a constitutional court unanimously nullified those sections of the Act which forced people with visual impairments to vote with at least four people without their trusted person in attendance. “It was long overdue. I think with the levels of political polarity in Zimbabwe; the provision was being manipulated especially by the ruling party which had control of the Electoral System. In some cases, even those who were able to see were being forced to declare themselves blind so that they could be assisted by partisan officials.” Masimba said. 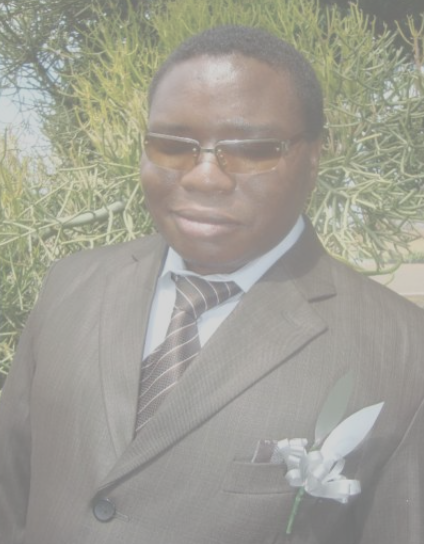 Masimba continues to advocate for the rights of people with disabilities in Zimbabwe through organisations like the Zimbabwe Coalition for Debt and Development (ZIMCODD) where he sits on the board, Crisis in Zimbabwe Coalition and . He is also a member of the World Council of Churches.